We respect each penny you earn - secure your money from scammers online, know this best tip's to secure your hard earned earnings. Read also : How to Create strong passwords to protect online accounts. We all do have the feel that I can't be hacked or who cares my account and transaction that I do online, Unless (or) until you became a victim. Because criminal instinct people were always interested in peeping someone's personal information, so they never worried about how big/small your amount is, they always need several victims just like you "Little drops of water make an Ocean". So act before it's too late, and be safe with these tips. Tip 1: Don't Disclose Bank Password - Be very conscious in what you share with anyone, limit the personal information that you share on social media's like facebook and twitter may be you are noted. And don't bookmark your bank password "anywhere on anything" except your brain. 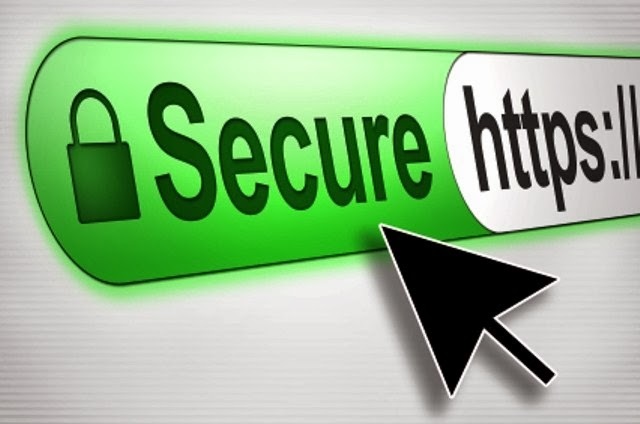 Tip 2: Check Browser Address Bar - Always check your browser address bar for actual bank domain address, in some cases, you will be redirected to any other websites that resemble your bank's actual template, the information that you enter in such sites will be directed to their database and you will be a victim. Tip 3: Remember To Log Out After Transaction - Whenever you make transaction's and access your bank account's online, remember to log out, else it can be hacked easy. it's simply like a house left without closing the door. Tip 4: Avoid Banking In Public Internet Cafes - There are many software application that tracks what you see on the monitor and may be a hidden camera that records whatever you do on the internet. In such cases, if you do any banking transaction online in public internet cafes, you are making it easier to let other's know your bank details. and don't save anything in public internet cafes. Tip 5: Use Updated Anti-Virus - Anti Virus are certainly essential part of computer's, perhaps at the most your Operating System has the defender to protect your computer from existing viruses, but every day almost 30k new viruses were created by scammer's and spread across the world through email links, websites, application and browser add on's etc. So it is important to use and update Anti-Virus software. Tip 6: Stop Using the Same Password For All Online Activities - Don't ever use the same password or pin for all your online activities, because when any of your online accounts hacked the scammer will try the password with all your online accounts. Tip 7: Avoid Banking In Slow/Poor Internet Connection - Poor internet connection's not only irritates people but also dangerous for people doing online transaction, whenever a transaction is made, for data encryption the bank server sends and receive request sequentially n number of times in such cases, when your connection is too slow to receive such request, it is possible that intruders can receive such request. so avoid transaction online in the poor network connection. Tip 8: Change Your Login Information At a Regular Interval - Always keep an eye on your bank account for any unusual activity, and change your login information at a regular interval, and update your mobile number for verification purposes. Use numbers, alphabets and special characters that are very difficult for others to make a guess except you. Tip 9: Never go for banking through email link's - Don't go to your bank websites through email links, instead type the actual bank address on your own in the address bar, scammers websites and address almost looks and resembles similar, you may be cheated. Tip 10: Worst of them all is "Phishing" - Sometimes it's not that the scammer's who are "Greedy" but the victims were. Remember nothing in this world claimed for free without hard work, never respond to emails saying that you have won a billion dollars in a lucky draw or any such claim's made online ever while browsing(A pop may appear and pop up's that you are lucky visitor), the emails may look's original but not really. Tips: Sometimes even highly reputed Antivirus software's cannot block all threats to your computer when connected to the internet, so we highly recommend always to use "Genuine copy of operating system"
Read also : How to Password Protect MS-Excel Office files. are using? I'm experiencing some minor security issues with my latest blog and I would like to find something more safeguarded. Kvalitet artiklar är hemligheten att bjuda in folk att besöka webbsidan , det är vad den här webbsidan ger .